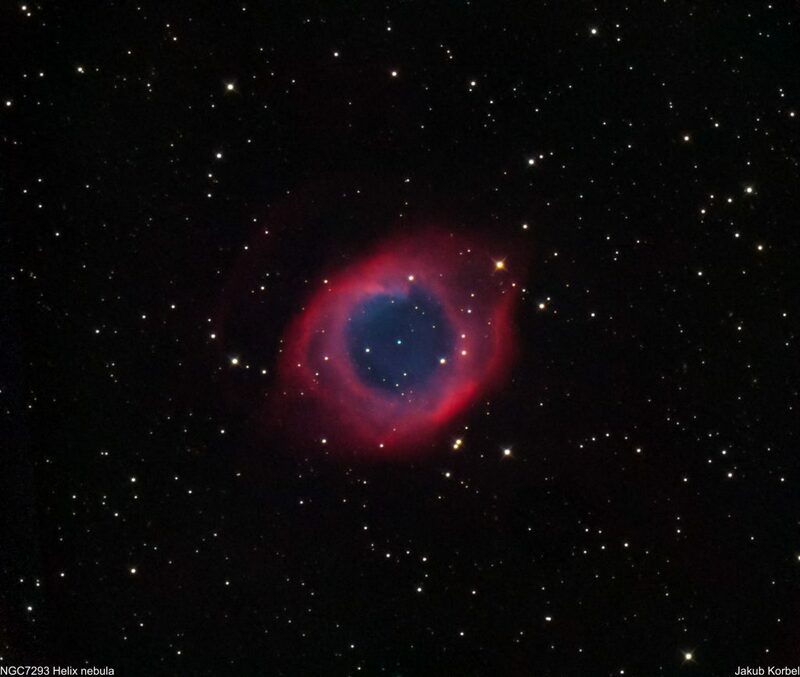 Helix nebula is the closest and the brightest planetary nebula in the sky. It was discovered by Karl Ludwig Harding quite long time ago at 1824 in constellation Aquarius. 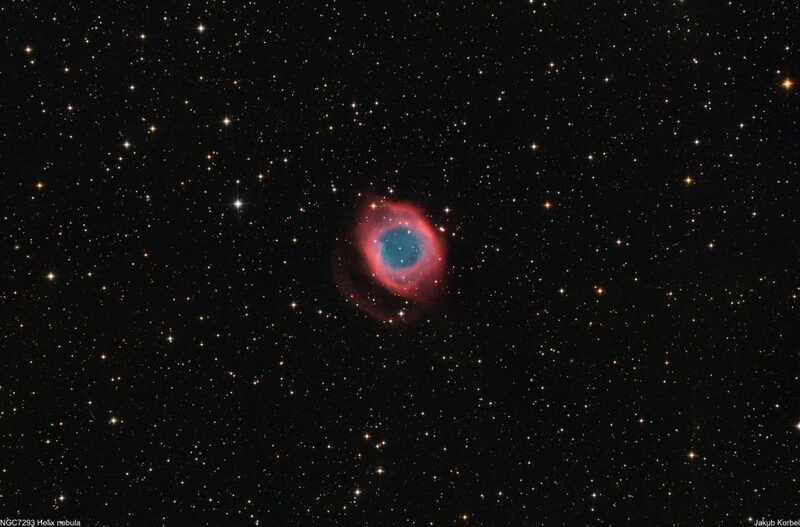 This nebula is similar to Dumbbell or Ring Nebula, only it’s much bigger and bit closer – approximately 450 light-years.